1.”The firemen said there were little fires everywhere.” What does the title of the book mean in relation to the story? 2. 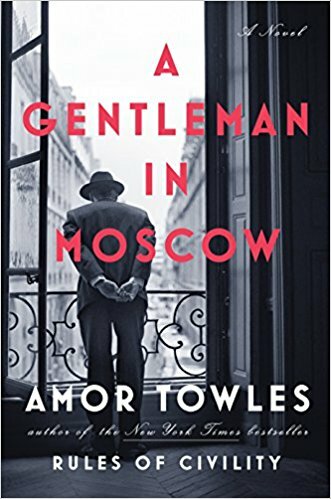 The novel is set about two decades ago in the late 1990s. Some of the characters are supposedly blind to the colour of people. Do you feel that the attitudes toward race and class has changed since that time period? What differences or similarities are there today? 3. Shaker Heights a suburb of Cleveland, is written like a character in the novel. The community is planned from the layout to the colour of the houses. What do you think about planned communities? Would you benefit from living in a planned community? What are the pros and cons of living in a community like that? 4. 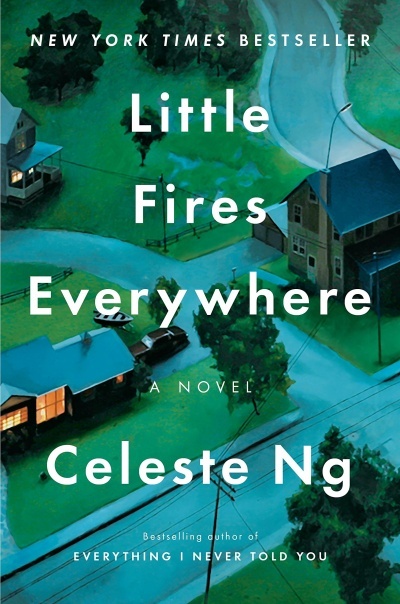 There are many themes in Little Fires Everywhere, such as family, motherhood, secrets, adoption, race, identity, love, friendship etc, which impacted you the most? 5. Which mother-daughter relationships could you identify the most with? 6. Mrs. Richardson’s character is complex, from her way of choosing tenants for her Winslow house to her standing up for her friends. Did you like her personality? How did you feel about her? Why is she called Mrs. Richardson and not her first name like the other characters? What is the author trying to portray? 7. 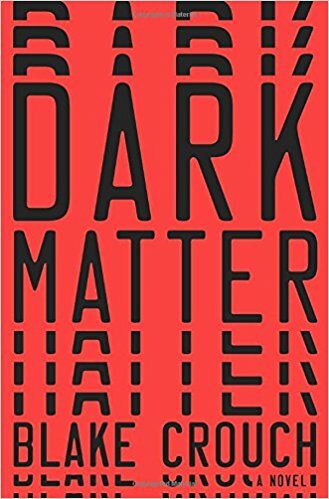 Which of the main characters did you think changed the most significantly in the novel? 8. Do you think Mia and Pearl’s relationship changed after they moved to Shaker Heights? Was their relationship stronger or weaker? 9. Mia is an artist and photographer in the novel. She is concerned with transformation in her work as for her it’s the true meaning of art. Do you think that moving to and living in Shaker Heights transformed her? What is Mia’s perception of starting over in Shaker Heights? 10. The court case of the adoption of the Chinese American baby ultimately asks who ‘deserves’ to be a mother. Who do you think should raise May Ling/ Mirabelle? 11. Why did Mia become Mrs. Richardson enemy? What bothers Mrs. Richardson most about Mia? 12. Pearl is a single child and lived an itinerant life. She wants to be a ‘normal’ teenager. Did you think that she would become a ‘normal’ teenager? 13. Mia gave the Richardsons a piece of art each that intimately spoke to them. Has an art piece ever influenced you in a meaningful way? 14. What do you think happened to Izzy? 15. 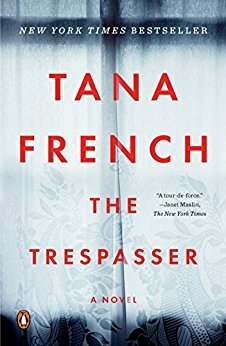 Was there a part in the book that surprised you? How did the novel make you feel? 16. After reading Little Fires Everywhere, who would you pass the book onto? 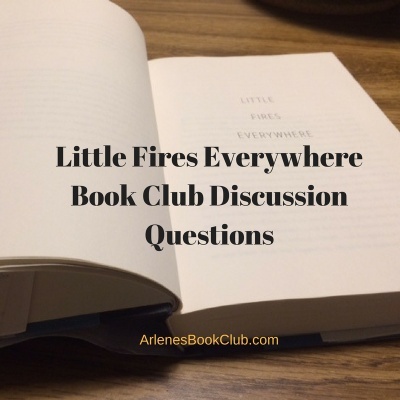 Check out the Study Guide for Book Clubs: Little Fires Everywhere. This discussion aid contains plot synopsis, character analyses, theme analyses and more. 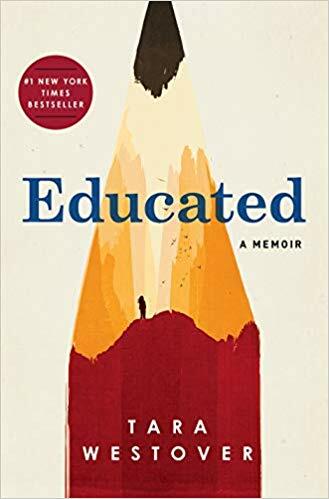 Check out Little Fires Everywhere book review! Previous Post My Top 5 Young Adult Book Series Must Read! Great questions! I think the motherhood and family one struck me the most, especially as some people were happy with the family they were in and others weren’t. I think in some ways the views toward racism has definitely improved and come a long way, but that in others at the same time there are those who cling to the values in that time. I don’t think a planned community like that would work well for me. I would feel stifled by all the rules! I thought Ng did a good job of showing the many ways of motherhood. No size fits all. I felt so sad reading about Bebe story. I loved that Ng highlighted the differences between the mothers, yet they all have a common theme that make them connect- they love their child. The fierceness of their love shows what they would do to keep their child safe. I don’t think I would do well in a planned community either. LOL, I have grass growing in my flowerbeds and the grass is way too high and covered with patches of weeds!